Populist is a term which defines a person especially a politician who appeals to the interest or prejudice of ordinary people. Brexit in the UK, Donald Trump in the USA, Finns party in Finland, Marine lee Pen in France are the current example of populist politics in current time. Media, on the other hand, is a watchdog with a responsibility to see and portray to the society in an exact true manner without self-interest and fear. Media reaction to criticism from populists depends on media houses policy. Donald Trump, a controversial figure worked his way to the presidency, used media shoulders for achieving his goals. He engaged himself with media and somehow, he almost took over entire media fraternity. When he announced his run for the presidency, he was hit very hard by the media, but Trump hit back even harder on media’s criticism. He called media news as fake news. Donald Trump knows how to stay in media and that’s why he is always on the front against media and criticise them and media always respond him back, seems like an enmity between the President and the media. This is not media’s job. The job of the media is to make him remember his promises that he made in his election campaign like ending the war in Afghanistan or the Mexico wall, trade agreement, or the health bill. Trump is always at offensive against media but, media should not get under pressure and do what their job requires them to do, which is to show the people, the truth. 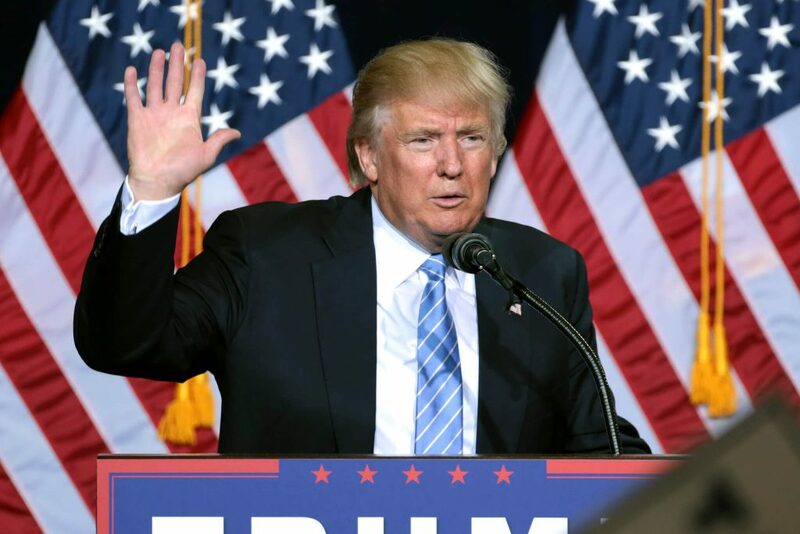 Media played a huge role in his campaign without realising that the more media is responding to Trump’s criticism on them, the more wall to wall coverage he is getting and that’s what Trump wanted to stay in the news and convey his message loud and clear. Trumps has a huge 18 million followers on twitter and he tweets around 120 to 150 times a months, but after every tweet, the amount of coverage that he gets actually helps in strengthening him as a president. 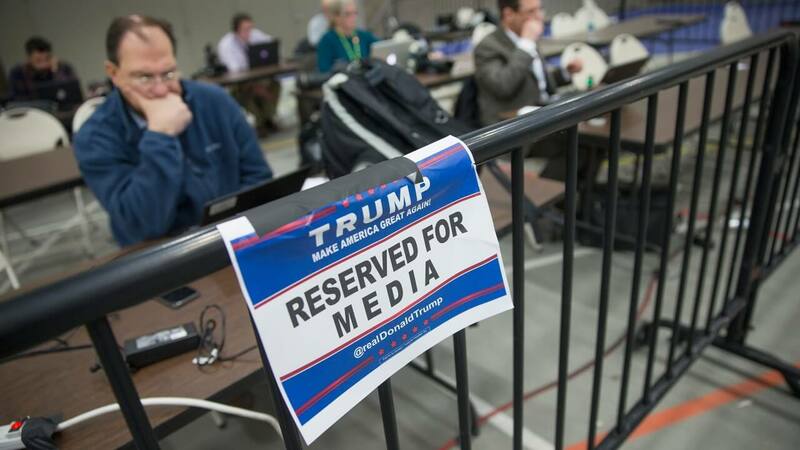 Media used as a tool of propagation by Trump, which was a genius move. Media reaction, in reality, was what trump always wanted and that favoured him a lot. So media was unknowingly promoting his agenda. Media should be careful about that and should not promotes anyone’s agenda. Media should be careful about that and should not promotes anyone’s agenda. The press doesn’t even pretend to treat Trump like a normal candidate; the Washington Post reacted to being banned from Trump with a shrug; BuzzFeed News published a memo telling reporters it was fine to call Trump “a mendacious racist” on social media; the New York Times published a viral video in which it simply quoted the vilest statements it heard from Trump’s supporters. The media has felt increasingly free to cover Trump as an alien, dangerous, and dishonest phenomenon. “Trump has freed journalists from the handcuffs of false equivalence,” says Brian Stelter, host of CNN’s Reliable Sources. Media house is divided on trump. CNN is always responding to Trump’s criticism and portrays him in a negative way. But that does not go well with people at the time of elections as people thought something is not right with CNN. So, instead of going with the CNN, people supported Trump. Media is very infamous in the world and the critics of media also voted for Trump. the major media outlets should collectively agree to ignore Trump’s tweets. In fact, CNN’s Don Lemon suggested that news executives agree to not cover Trump’s tweets. Media does not set its priorities straight when it comes to Trump. Trump is violating the right to information to the media but instead on criticising Trump on this issue, media talk about his useless tweet all day and don’t criticise him or question him about the information that he is keeping away from media and public. During all this, the American people are increasingly being lulled into a sense that it’s somehow OK for our president to simply tweet policy positions and not be required to give us detailed policy proposals or explanations. 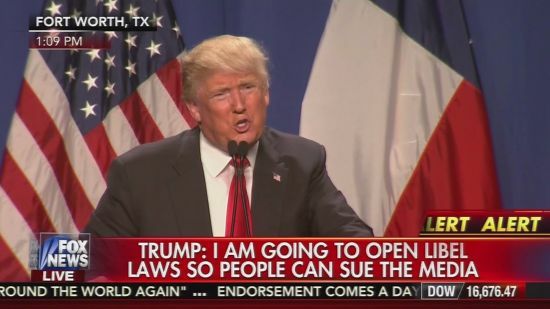 Media should tell people exactly what they hear from Trump if it is important. Media should not become a judge in pursuit of some personal agenda against the man. Media should not take liability for itself on changing the perception and thinking of people. Trump no doubt prefers tweeting to holding a press conference because there’s no one to challenge him to his face on factual inaccuracies or ask him follow-up questions. But if the media ignored his tweets, it could compel Trump to actually hold a press conference. Most of the time media do exaggerate news that concerns Donald Trump. In response to Trump’s speech against media in Pheonix, Arizona, one of the CNN’s news anchor said that he is trying to ignite a civil war in the country and that anchor declared him a mentally unstable person, which was exaggerating. Media should not exaggerate stuff, said by Trump, because it will show that media is taking sides or is against someone because that someone doesn’t like media and criticise them. And for the media, that should start by no longer giving Trump wall-to-wall coverage of every tweet – especially ones on substantive policy issues so that he can hold press conferences. It is time that Donald Trump should be treated as the President, not as a teenager celebrity. Media should ask him open-ended questions, not simple yes and no questions because it will then give him chance to run away from giving the information. Media should not take him every tweet seriously or literally. Media should avoid calling him in a bad way and try not to label him just to make their story more interesting. If media will react to every criticism by Trump, then this is not right as it will show that media has a personal vendetta against the man.